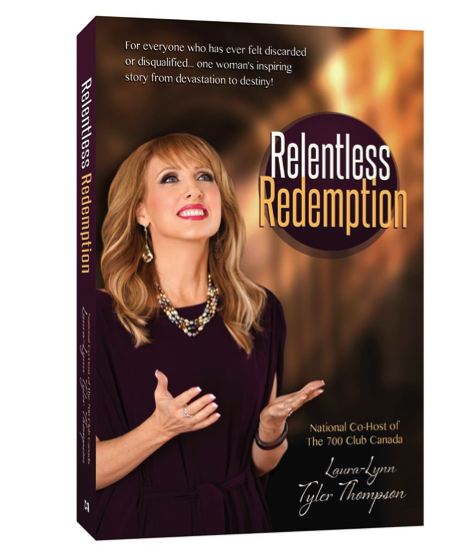 Inspirational and comedic speaker, Laura-Lynn Tyler Thompson, is the co-host for the national daily show, The 700 Club Canada. 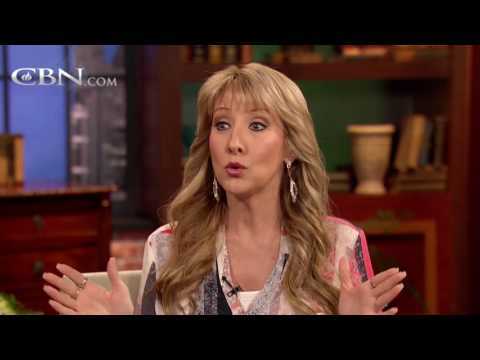 God called her to the media miraculously one night in 1999. In her television career, she has been privileged to speak on camera with many great men and women of faith like Josh McDowell, Tony Campolo, Patsy Clairmont, Bill Hybels, Dr. Gary Smalley, Liz Curtis Higgs, Dr. Gary Chapman, Pat Robertson, Kay Arthur and Thelma Wells. She has been on stage as a special guest with the Women of Faith. 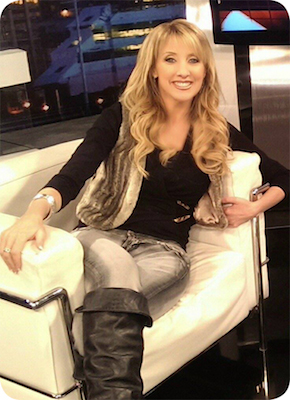 Over 90 of her personal interviews have aired on The BIOGRAPHY Channel Canada. Laura-Lynn's success simply stands as a testimony to her life’s passion for serving God and people with all her heart. 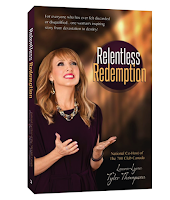 Her journey will inspire you to never give up on the calling God has for you... in her book Relentless Redemption, Laura-Lynn tells her own story from devastation to destiny! After making mistakes of such magnitude she felt she had disqualified herself from ever being useful to God, she found a revelational truth that set her free in a day and she has never looked back. Her journey will ignite your heart to know that God will fulfill the destiny He has planned for you regardless of your failure. Julie Brown Chambers I couldn’t help myself and started reading your book as I curled up in bed last night. Stayed up late reading. Got up early and started reading. Read it on the way to church and as soon as I got back in the truck after church. Going to start reading it again as soon as I finish this (forgive me Lord if I am somewhat half neglecting my family today!). I SO appreciate your gut level honesty!! REAL-ness is such an amazing change agent! Sheila Mancor Thanks LL! I started reading your book last night when I went to bed and read through to Chapter 7....I couldn't put it down!!! Then I woke up early and read again. Wendy - Raffa Bookstore Owner I am halfway through reading your book and I have no words except to say thank you for sharing your heart. I feel as though you and I have been sitting together having coffee as you tell your story. You have so much wisdom packed in those pages. Marlene Cain-Williams Finished your book at 2 a.m. this morning. Did not want it to end. Had to get a hi-lighter. It is such a book of reference and encouragement. It is nothing phony, but real life. Pain is real. Women who are in pain and brokenness need to know of a love that is unconditional. Lynae Carelse Laura-Lynn, I just finished reading your book, I couldn't put it down. Oh my sister in the Lord I praise God for your pursuit of Him! I saw you on CTV. Crying for justice against Marissa Shen murderer. The case has only begun. Have you considered she might have been a child prostitute? You experienced the mercy of Christ, yet you cry for the blood of another, I was shocked to see your face face go from grace to disgrace. Even the color of your light was gone. What manner of spirit? Jesus asked. You are everything thats wrong in the world. Saw you on Global tonight. What a piece of work you are. You are a disgrace. I can't say that I agree with you on everything theologically speaking, but that's ok. I do admire your courage on the whole SOGI issue. I realize how unpopular it is theese days to speak up. Please don't feel defeated. Kerp fighting. You are a courageous woman..you are 100% correct..I pray that you will open many more parent''s eyes to the child abuse that the government is allowing out in the open of our schools. We are behind you..you are not alone . Man I hope you win the election. Maxime Bernier for PM of Canada in 2019 and a People's Party of Canada majority in the House of Commons and the Senate. We want nothing less. Thanks for Speaking is a Time Many are LOST SOULS..!!! Jesus is the only way his words were I am the WAY the TRUTH and the LIFE NO Man can find God but through me..!! !